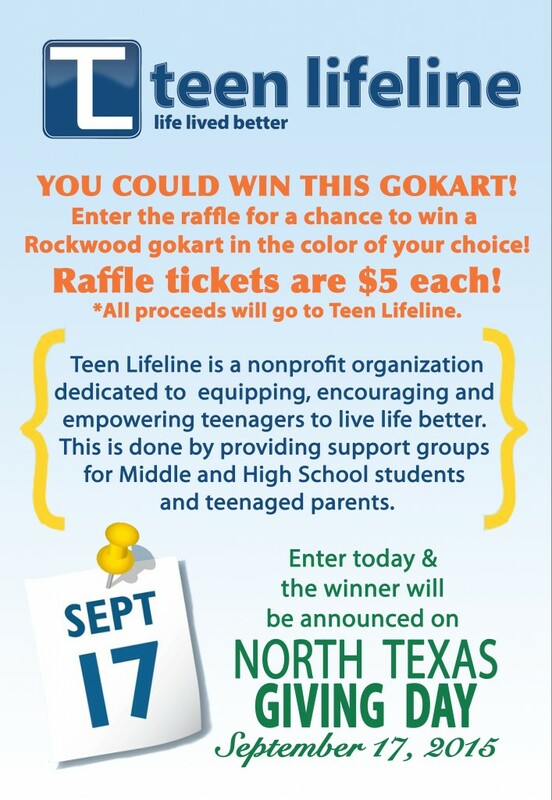 Teen Lifeline is honored to be supported by Rockwood Go Karts. They have generously donated the above Go Kart and are currently selling raffle tickets at their Go Kart track and at their sales location in Keller. 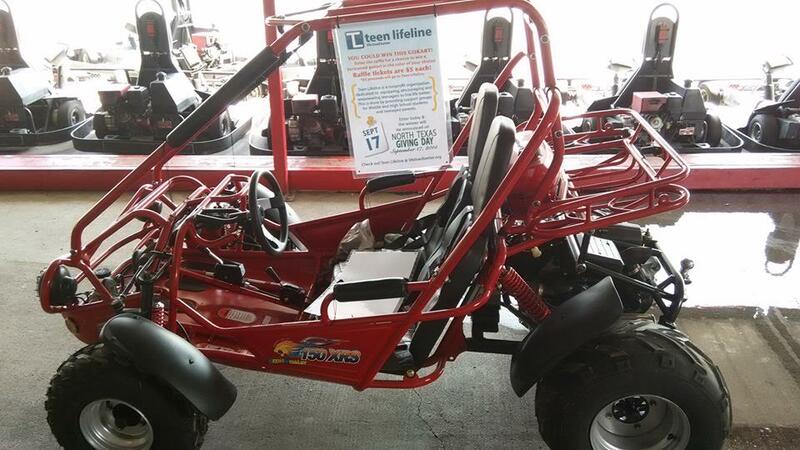 You can stop by either place and buy a raffle ticket for a chance to win an amazing Go Kart. The drawing will take place on September 17th, North Texas Giving Day, when you can also support Teen Lifeline by donating online directly through the linked website above.